So I thought I should write a basic guide to Supply Chain and Logistics. It’s called What is Supply Chain Management? It’s an eBook that can be purchased and downloaded straight away, and it comes with some great free bonuses too. 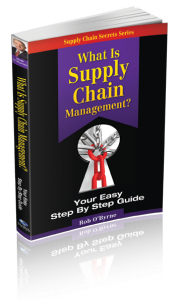 You can check out the book here: What is Supply Chain? This guide is the perfect companion to the book. If you’ve ever found yourself lost amongst the jargon of Supply Chain & Logistics, this glossary will save you! Filled with detailed explanations of terms and acronyms used today, you’ll no longer be confused or left behind in a conversation. This step by step guide on how to develop a Supply Chain Strategy is based on my 35+ years of experience working with top 500 businesses around the world. Helping you understand the strategic elements of Supply Chain, you’ll soon look like the ‘Guru’ to your peers. It’s a presentation ‘movie’ with me speaking, that you can play in your PC, as I explain how to develop a winning Supply Chain strategy. 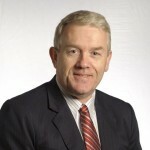 Discover the insights from transport expert John Cole, who has over 30 years experience consulting in transport. After reading this you’ll understand the dynamics of freight transport, how rate structures actually work and how easy it is to save money on freight costs. No longer will you be confused by warehousing operations! With this guide you get a ‘sneaky behind the scenes’ look at warehousing operations, what slotting and picking are all about and the huge impact it has on warehousing costs and performance. Discovering these tips and understanding these concepts will be invaluable in gaining cost and service improvement!